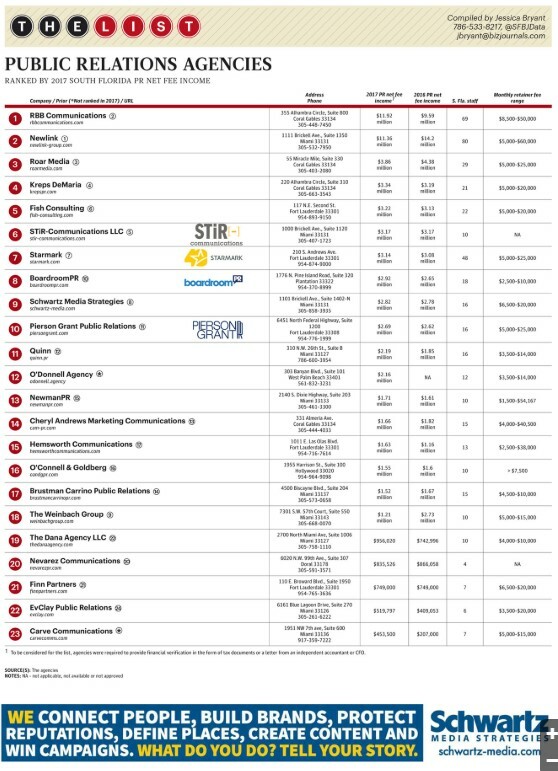 Schwartz Media Strategies is again ranked among the top public relations firms in the South Florida region, according to this year’s South Florida Business Journal Book of Lists. A big thanks to our clients and friends who have made our steady growth possible over the years. Be sure to check out our firm’s print ad at the bottom of the page.